Il prezzo trovato è inferiore del 25% rispetto alla tariffa media di questo hotel che è pari a USD 381 a notte. Dear AlainS2017, Thank you very much for such a detailed review as per your stay at the Mercer Hotel Barcelona. We are pleased to know that our hotel design, location, historical background and facilities were of your joy! Thank you as well for your very kind words related to our staff service which I will definitely share with. We hope we will have the pleasure to welcome you back in the near future! Dear Cruiser572761, Thank you very much for your wonderful review as per your stay at the Mercer Hotel Barcelona. It is fantastic to hear that you have enjoyed our design and services. We hope we will have the pleasure to host you back again if you consider visiting Barcelona in the near future! Dear Relu80, Thank you so much for such a detailed and lovely review as per your recent stay at the Mercer Hotel Barcelona. 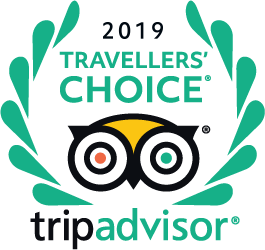 We are pleased to know that you have enjoyed our location, which is indeed very convenient as it is close to the main attractions in the Gothic Quarter. It is fantastic to see how well you captured the essence of our hotel, with its combination of history and contemporary design. Finally, we highly appreciate your kind comments addressed to our staff, who always do their utmost to exceed our guest expectations. Thank you for being such great ambassadors! We hope we have the pleasure to welcome you back in a near future! I don't recall a parking lot. I would contact the hotel with this question. Suggest you contact the hotel to make special arrangements. We arrived in Barcelona around 9 am and were at the hotel before 10am. We had contacted them beforehand and they had made special arrangements for our room to be made available early. They went to great lengths to welcome us so early in the day, and nothing was too hard for them to provide. Drop them an e-mail telling them when you will arrive and I am sure they will help out to make a room available early. It is the sort of service these guys have developed as a culture. They are very good. I’m traveling with my emotional support Frenchie and two sons. Is there a 3rd bed available with a king room also will my dog be accommodated? Thank you! Hi. My Son is disabled. Do you have a room with grab rails. Please. Yes, a very adequate room which I am currently using for my wife who is in a wheelchair.